Bielsa - Situated in the Province of Huesca, in the Spanish Pyrenees, a wonderfully scenic area perfect for outdoor sports and activities. 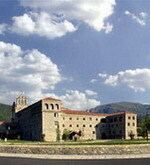 Founded in the 10th century, Bielsa has a privileged location where the Cinca and Barrosa rivers join. This typical Aragon Pyrenees town still maintains all its most singular traditions. Housed in an converted Monastery set on the banks of the Ara River in the regional capital of Boltaña, this stylish property is located 90 kilometres north east in the province of Huesca. Amenities include a health spa offering a range of treatments and therapies, and there is a hydro-massage pool overlooked by a relaxation deck, and a sauna and steam room. Other facilities include an outdoor swimming pool flanked by terraces, a hair salon, an onsite church, and complimentary parking for those arriving by car. Restaurant Marbore is a bright and modern eatery with twinkling lights, white linen-topped tables and polished wooden floors, and serves new regional cuisine. There is also a coffee bar with a relaxed atmosphere where guests can enjoy liqueurs and coffees. 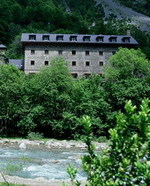 Hotel Bielsa is set in the central Pyrenees, at 1,000 m altitude. The hotel is surrounded by gardens and facilities include free Wi-Fi. The hotel is just 200 m from central Bielsa. The village is by the beautiful Pineta Valley. The nearby A-138 road leads directly to France. There is free parking at the Hotel Bielsa. The Ordesa and Monte Perdido National Park and the Gistain Valley are both nearby. All rooms at the hotel have a private balcony or terrace with views of the mountains. There is also satellite TV and an en suite bathroom. 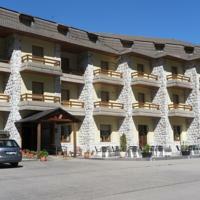 The surroundings are ideal for hiking, cycling, horse-riding and skiing. The hotel tour desk offers information about excursions. Packed lunches are also available. The hotel restaurant offers creative versions of traditional mountain meals. There is also a bar and a TV room. This welcoming mountain enclave is located in the eastern sloping Ordesa and Monte Perdido National Park. It was declared to be a World Heritage Site by UNESCO in 1997 and is also a renowned area for enjoying sports and outdoor activities. The fresh Pyrenean air, the clean waters of the river Cinca or the tradition of the Nuestra Señora de Pineta roman hermitage, will leave you feeling healthy, relaxed and calm. The floors, walls, and exposed wooden beams and columns are filled with modern and accommodating furniture. Some of the bedrooms have spectacular views over this beautiful natural enclave. We invite you to come and enjoy the best dishes of High Aragon cuisine: Cinca river trout cooked in sherry, young roast lamb, leg of wild boar, teresicas de Aragon (puff pastry dessert), and of course, the migas aragonesas (fried breadcrumbs with sausage and grapes).